We received a ‘pride in the Job’ Award from NHBC for our project to build a new house at Archway House, Woodbridge. 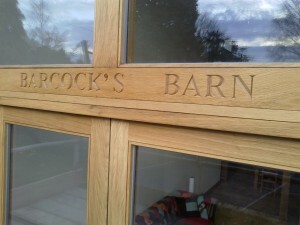 We received the NFB Refurbishment of the Year Award for the barn conversion at Barcocks Barn, Drinkstone, Suffolk. We were delighted to receive the Suffolk Association of Architects Craftsmanship Award for the new village hall at Hacheston.